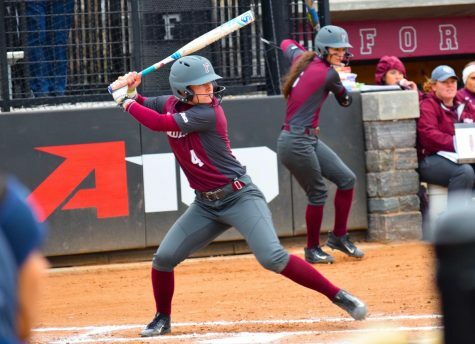 Fordham Softball won five of six games over spring break, and the snow did not cool down the Rams (Courtesy of Fordham Athletics). 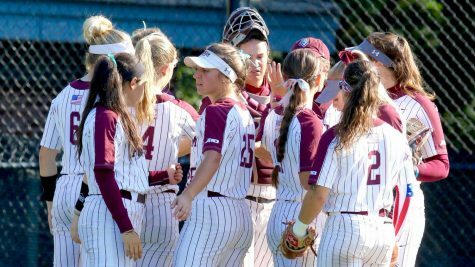 As many Fordham students traveled for vacation with friends and holidays with families over spring break the past two weeks, Bridget Orchard’s softball squad traveled with a goal in mind: managing a seven-game road trip. 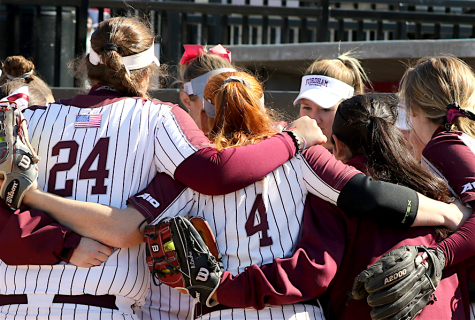 After postponing their game against Stony Brook on March 22, the Rams began conference play in full bloom by sweeping a three-game set against Dayton. On March 23, the Rams won both games by scores of 2-0 and 6-4. 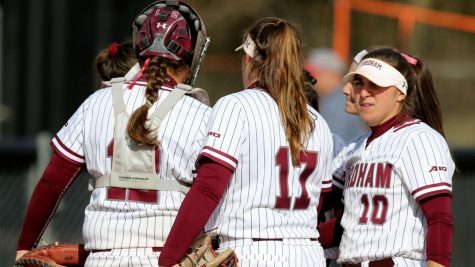 In the first tilt, sophomore righty Madie Aughinbaugh pitched seven innings of three-hit shutout ball, and junior Chelsea Skrepenak drove in the only two runs of the game on a clutch seventh-inning single. 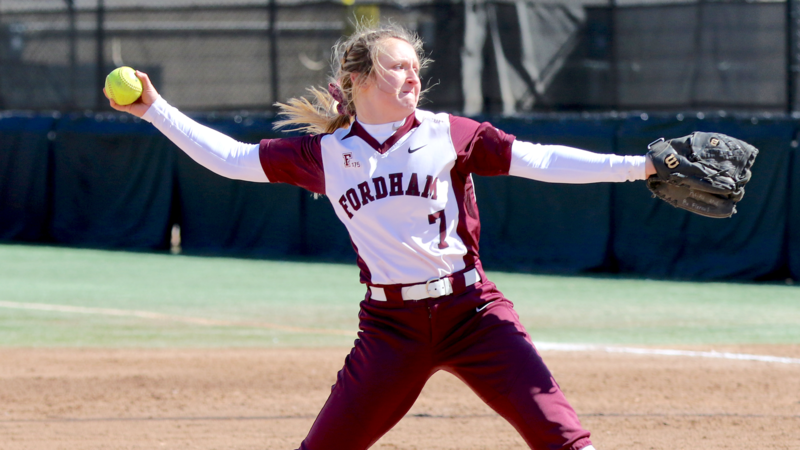 In the nightcap, Aughinbaugh earned another win by tossing three solid innings in relief of freshman starter Paige Rauch, who limited Dayton to three runs over four innings of work. Skrepenak hit a home run, senior Madi Shaw poked two solo shots of her own, and juniors Jordy Storm and Maria Trivelpiece gathered RBIs of their own to power the Rams’ offense. 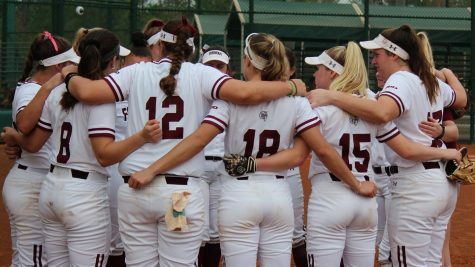 That Sunday, Fordham brought the brooms out and earned their third W of the weekend in Ohio, defeating Dayton 16-5 in just five innings, behind yet another Aughinbaugh win (in relief of Lauren Quense) and monster offensive games from most of the lineup – including Skrepenak, Aughinbaugh, Rauch, junior Deanna Burbridge (2 RBIs each) and Trivelpiece, who drove in a career-high six runs. On March 28, the Rams visited Hempstead, NY to take on RV/RV Hofstra (in a make-up of their matchup originally scheduled for March 14), and held on to win 3-2. Despite stranding runners in scoring position in the first and second innings, Fordham took advantage of a catcher’s interference ruling in the third, scoring two unearned runs with two outs on an Aughinbaugh double and Trivelpiece single. 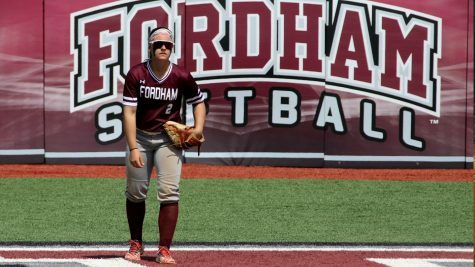 In the fourth, Skrepenak continued her torrid pace with her third homer in as many games, which proved to be the difference despite Hofstra scoring a run in both the sixth and seventh innings. Rauch pitched all seven frames and worked out of a few jams to move to 6-1 on the mound this season. 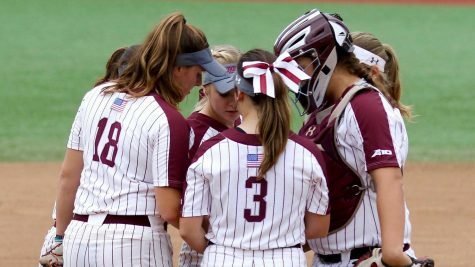 This past weekend, the Rams faced off against Saint Joseph’s in Philadelphia, where they took two out of three contests to close out the month of March on a high note. In the early game, Aughinbaugh twirled another masterful game, spreading five hits over seven shutout innings in a 4-0 victory. Rauch scored twice and knocked in two runs with a seventh-inning triple to provide some late insurance. In the afternoon, the Rams downed Saint Joseph’s 11-2, thanks to a combined pitching effort from Aughinbaugh and Rauch, who went 3.1 and 3.2 innings allowing one earned and one unearned run respectively. 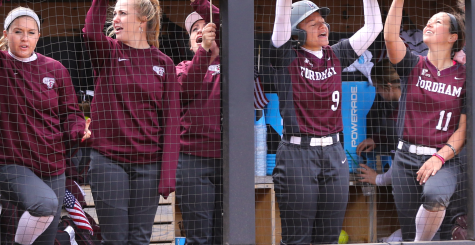 At the plate, juniors Molly Roark and Kylie Michael delivered crucial hits to fuel the blowout, as the former crushed a grand slam in the second inning and the latter smacked a bases-clearing double in the seventh. In the late game the Rams lost 4-1, despite freshman Anne Marie Prentiss providing 2.1 innings of one-run relief on the mound and an RBI double with her bat. 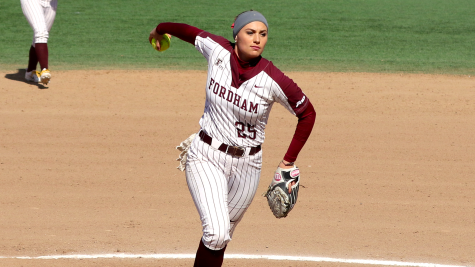 Quense took the loss after allowing three runs over 3.2 (all in the fourth inning), dropping her record to 1-9 on the year. The Rams now hold a 15-16 overall record on the season. 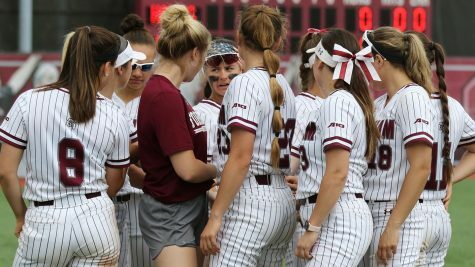 With a 5-1 Atlantic 10 record and 3-1 record at Bahoshy Field, they will return home to the Bronx for matchups with Binghamton, Lehigh and conference foe George Mason this week.